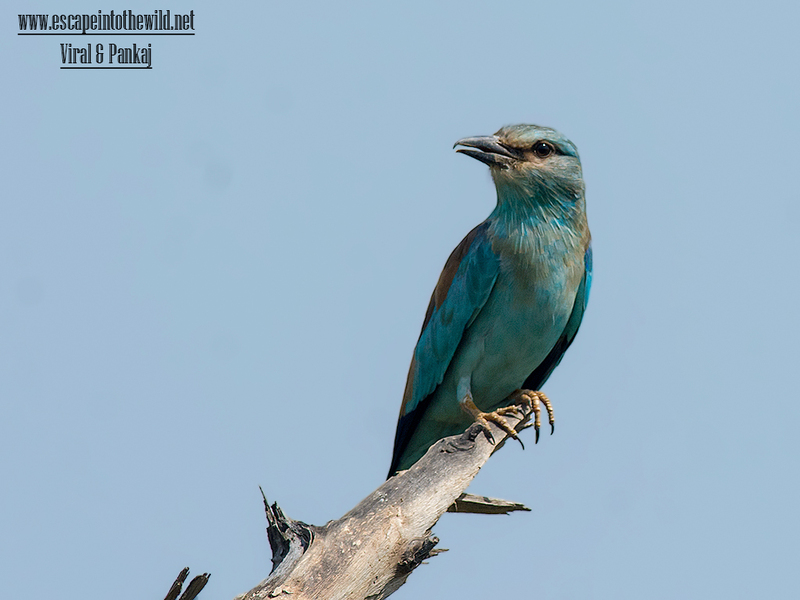 The European roller (Coracias garrulus) is the only member of the roller family of birds to breed in Europe. The European roller is a bird of warmer regions. The European roller is a long-distance migrant, wintering in southern Africa in two distinct regions, from Senegal east to Cameroon and from Ethiopia west to Congo and south to South Africa. Rollers often perch prominently on overhead wires, trees or posts.